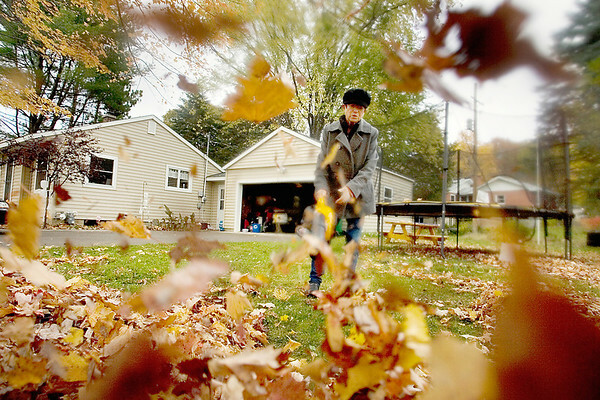 Francine Leutz, of Temperance, uses a leaf blower to clear leaves from the yard of her son, who wasn't home, at his residence in Traverse City. Francine, along with her husband, is visiting her son, daughter-in-law and grandchildren. "He won't be surprised, he knows his mother," Leutz said of her outdoor chore.